Syphilis is caused by the bacterium Treponema pallidum. Syphilis is a multistage disease, and the clinical stages of syphilis are divided to primary, secondary, and tertiary syphilis, where the tertiary stage is classified as neurosyphilis, cardiovascular syphilis, or gummatous syphilis. Here, we describe an autopsy case of acute pulmonary thromboembolism with neurosyphilis. A male in his early 40s began to complain of hallucinations. He was admitted to a psychiatric hospital as an emergency case 4 days before death. He was physically restrained to control agitation and aggressiveness. The patient was severely obese (BMI 36.45). At autopsy, large thromboembolic masses filled the pulmonary trunk and both pulmonary arteries. Thrombi were also noted in the right popliteal vein and bilateral gastrocnemius and soleus veins, suggesting bilateral lower extremity deep vein thrombosis. Dissection of the brain, which weighed 1457 g, revealed no noteworthy macroscopic findings. Histological examination showed lymphocyte infiltration into the perivascular space of the brain tissue with no vasculitis. Immunohistochemical staining of T. pallidum was negative, the fluorescent treponemal antibody-absorption test was positive, the rapid plasma reagin titer was 1:4, and the T. pallidum hemagglutination assay titer was 1:10,240. Real-time PCR assay of the brain tissue detected low copy numbers of T. pallidum genes. Altogether, the cause of death was acute pulmonary thromboembolism resulting from bilateral lower extremity deep vein thrombosis. The patient also had early-stage meningovascular neurosyphilis. An autopsy case of acute pulmonary thromboembolism with meningovascular neurosyphilis is presented, including histopathological examination, serological assessment, and genetic testing. Forensic pathologists should pay attention to a myriad of syphilitic manifestations. The contributing factors for thrombosis in the present case included severe obesity, probable dehydration, and physical restraints implemented to control meningovascular neurosyphilis-induced neuropsychiatric symptoms. Syphilis is caused by the bacterium Treponema pallidum. This motile, gram-negative spirochete can be transmitted both sexually and from mother to child and can invade virtually any organ or structure in the human body (Nyatsanza and Tipple 2016; Radolf et al. 2016). Syphilis is a multistage disease, and the clinical stages of syphilis are divided to primary, secondary, and tertiary syphilis, where the tertiary stage is classified as neurosyphilis, cardiovascular syphilis, or gummatous syphilis (Radolf et al. 2016; Bai et al. 2017). If untreated, 4 to 9% of infected individuals will progress to neurosyphilis and develop neurologic or psychiatric symptoms 10 to 20 years after infection (Obi et al. 2007; Vaitkus et al. 2010). After World War 2, the prevalence of untreated syphilis infection remarkably decreased with the introduction of penicillin therapy and improvements in diagnostic techniques (Obi et al. 2007). Here, we describe an autopsy case of acute pulmonary thromboembolism with neurosyphilis. The subject was a male in his early 40s with no noteworthy medical history. He worked in manufacturing until 12 days before death. He started to complain of unpleasant body sensations, such as something stuck in his throat. Subsequently, he began to complain of hallucinations, and he stated that “I hear footsteps; someone is walking.” He was admitted to the Department of Emergency Psychiatry at a psychiatric hospital 4 days before his death and was physically restrained to control agitation and aggressiveness. Two days before death, the patient had sudden onset of a seizure and respiratory arrest and was resuscitated. Two days later, he again developed cardiopulmonary arrest. He was transferred to an emergency care hospital, where he died. A forensic autopsy was performed 4 days after death. The patient was severely obese, with a height of 158 cm, weight of 91 kg, and body mass index of 36.45 kg/m2. The autopsy examination revealed no skin lesions. Multiple organs showed severe congestion. The heart contained 270 mL of dark red blood, with high fluidity and the absence of soft clots. Large filamentous thromboembolic masses with coarse surfaces filled the pulmonary trunk and both pulmonary arteries (Fig. 1a). The left and right lungs weighed 689.4 and 500.5 g, respectively. The cut surfaces of the pulmonary parenchyma revealed the presence of dark red hard or soft clots in many arterioles. 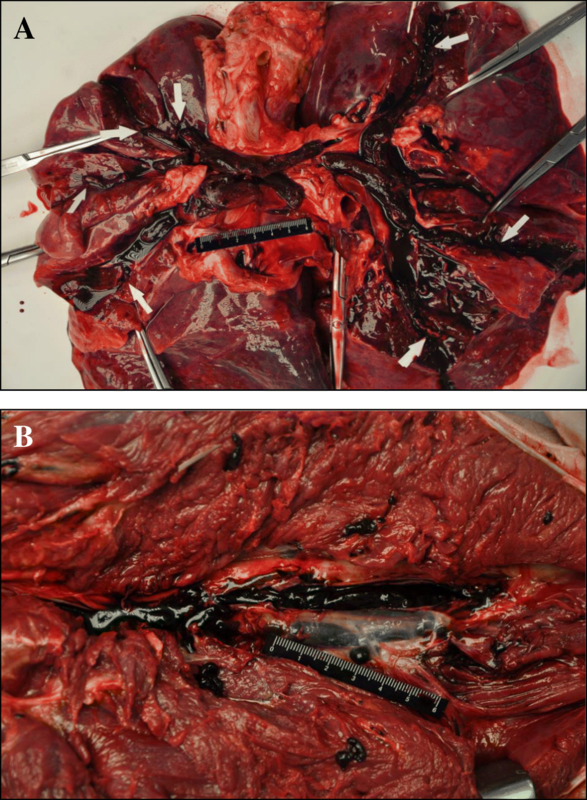 A small amount of red liquid was detected inside the trachea. Dark red thrombi were also noted in the right popliteal vein and bilateral gastrocnemius and soleus veins, indicating bilateral lower extremity deep vein thrombosis (Fig. 1b). No thrombi were detected in the pelvic veins. Histological examination showed no signs of organization or vascular fibrosis, suggesting that the thrombi were newly formed (Fig. 2). The heart weighed 625.6 g. Coronary plaques were observed at several locations in the left anterior descending branch, but not in any other coronary branches. Left ventricular hypertrophy was noted. No signs of myocardial hemorrhage or necrosis were found. The inguinal lymph nodes revealed no significant pathologic changes. The brain weighed 1457.0 g, with no arteriosclerosis. The brain surface was unremarkable. Dissection revealed no signs of cerebral hemorrhage or infarction (Fig. 3). Histological examination showed lymphocyte infiltration into the perivascular space of the brain tissue (Fig. 4a). B cells were the dominant component of the lymphocyte infiltrates, which were positive for cluster of differentiation (CD) 20 (Fig. 4b) and CD79a (data not shown). Parts of the infiltrates were also positive for the plasma cell marker CD138 (data not shown). These findings indicate that some of the infiltrates included plasma cells. There was no evidence of Heubner arteritis, which is characterized by thickening and lymphocytic infiltration of the intima. Lymphocytes did not infiltrate the cranial nerves. Obvious parenchymal infiltration of lymphocytes was not observed. There were no histological signs of cerebral infarction or gumma. Proliferation of microglia was not observed by immunohistochemistry with anti-Iba1 antibody. Fischer’s plaques, focal demyelinating lesions frequently reported in patients with neurosyphilis (Obi et al. 2007), were not detected by Klüver-Barrera staining. Gallyas silver staining of hippocampal sections revealed no neurofibrillary degeneration. Warthin-Starry staining and immunohistochemistry for T. pallidum were negative. These results supported a diagnosis of meningovascular neurosyphilis. The spinal cord was not examined in this autopsy. The fluorescent treponemal antibody-absorption test was positive, the rapid plasma reagin titer was 1:4, and the T. pallidum hemagglutination assay titer was 1:10,240. Serological screening of the hepatitis B virus, hepatitis C virus, and human immunodeficiency virus (HIV) was negative. The femoral vein blood alcohol concentration was 0.02 mg/mL. Blood drug analysis by liquid chromatography–tandem mass spectrometry using femoral vein blood revealed trace amounts of acetaminophen and lidocaine. Beta-actin gene expression was analyzed as an endogenous control (Kuramochi et al. 2006). The real-time PCR assay detected low copy numbers of T. pallidum genes. Based on the autopsy results, the immediate cause of death was determined to be acute pulmonary thromboembolism resulting from bilateral lower extremity deep vein thrombosis. The patient also had early-stage meningovascular neurosyphilis without vasculitis or parenchymal lymphocytic or granulomatous invasion. Neurosyphilis is defined as any infection of the central nervous system (CNS) by the bacterium T. pallidum. The annual incidence of neurosyphilis varies from 0.16 to 2.1 per 100,000 population (Sabre et al. 2016). Neurosyphilis is divided into four major categories: asymptomatic, meningovascular, parenchymatous, and gummatous (Dourmishev and Dourmishev 2005). Neurosyphilis develops by invasion of the pathogen into cerebrospinal fluid (Hagiya et al. 2015). T. pallidum invades the CNS early in the course of infection. Most patients clear the CNS infection spontaneously; however, those who do not clear the infection are at risk of progressing to neurosyphilis (Brown and Gray 2008). Meningovascular neurosyphilis develops several years after T. pallidum infection. It typically manifests as meningism, intracranial hypertension, and cerebral infarction. Patients often have restlessness, emotional instability, personality changes, and other neuropsychiatric symptoms (Dourmishev and Dourmishev 2005). The most frequent clinical presentation of meningovascular syphilis is stroke (Feng et al. 2009), but in this case, there were no episodes of stroke. Histologically, the inflammation is mononuclear, specifically lymphoplasmacytic, as in the present case (Feng et al. 2009). Neurosyphilis also causes Heubner arteritis, which is characterized by thickening and lymphocytic infiltration of the intima, which can induce a stroke syndrome (Brown and Gray 2008; Sakai et al. 2014). However, there was no evidence of Heubner arteritis in the present case. In 1985, meningovascular syphilis was reported to be the most common clinical variety of neurosyphilis, comprising 39 to 61% of all symptomatic neurosyphilis cases (Burke and Schaberg 1985). But in 2005, meningovascular syphilis was observed in only 10 to 35% of all neurosyphilis cases, occurring between 4 and 10 years after initial infection, with peak occurrence at 7 years (Dourmishev and Dourmishev 2005). The widespread use of antibiotics in recent years, particularly penicillin, has considerably modified the forms and stages of syphilis and, subsequently, the clinical features of neurosyphilis (Nyatsanza and Tipple 2016). Symptoms once considered typical, such as those of the eyes (particularly the characteristic Argyll-Robertson pupil), VIII cranial nerves, and tabes dorsalis, have diminished significantly in recent years. Mental disorders and cognitive impairment are now the most common clinical manifestations of neurosyphilis (occurring in 85.7 and 64.3% of cases, respectively) (Yao et al. 2012; Ghanem 2010). 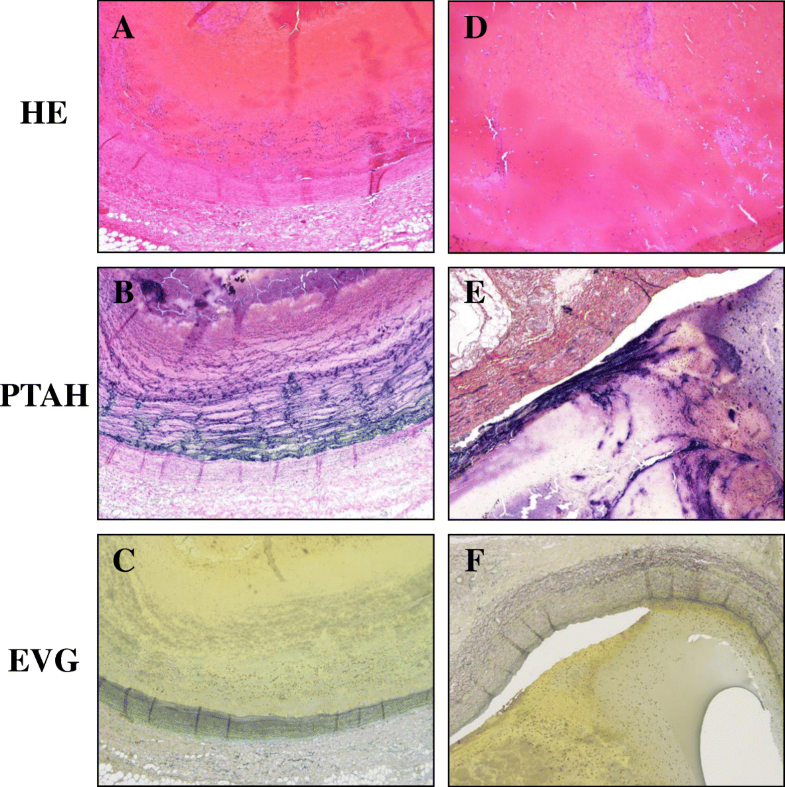 Although immunohistochemical staining of brain tissue sections was negative for T. pallidum, the real-time PCR assay detected low copy numbers. We concluded that the pathogens were most probably present in the brain parenchyma. However, we cannot completely rule out the possibility that the real-time PCR assay detected pathogens contained in a trace amount of blood remaining in the brain tissue samples. The thromboemboli seen in the autopsy were fresh and were likely to have formed after physical restraints were implemented 4 days before death. The respiratory arrest event that occurred 2 days before death was possibly triggered by the pulmonary embolism. The risk factors for thrombosis in the present case included severe obesity and probable dehydration. In addition, the physical restraints implemented to control neurosyphilis-induced neuropsychiatric symptoms probably contributed to thrombosis. Physical restraint is considered a last resort treatment measure after other non-pharmacological or pharmacological approaches have been exhausted, and is sometimes used in psychiatric clinical practice to manage and treat patients with violent behavior (Cecchi et al. 2012). Recent studies have reported a resurgence of syphilis worldwide (Hagiya et al. 2015; Centers for disease control and prevention 2016; Golden et al. 2003), which is sometimes discussed in the context of coinfection with HIV (Vaitkus et al. 2010; Feng et al. 2009; Kent and Romanelli 2008). In the USA, the total case count of reported syphilis in 2016 was the highest since 1993 (Centers for disease control and prevention 2016). In Japan, the number of reported syphilis cases continuously decreased from 1948 until 2010, though with slight fluctuations. Since 2010, however, reported cases have been on the rise (National Institute of Infectious Diseases and Tuberculosis and Infectious Diseases Control Division 2015). 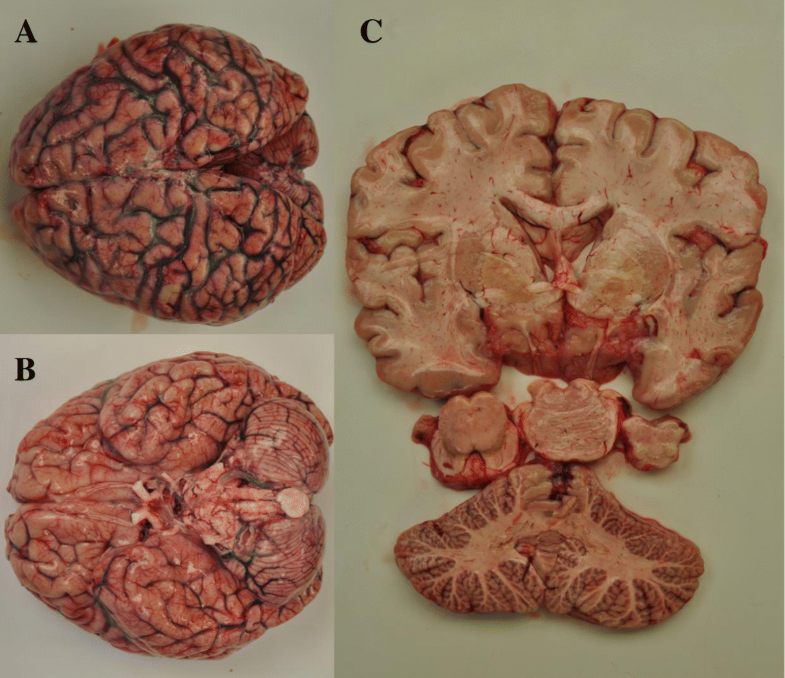 In forensic autopsy cases involving neuropsychiatric conditions, forensic pathologists should consider the possibility that the condition was caused by infection of the CNS. Investigation of infectious causes can yield important clues to the immediate cause of death, and to the overall course of events leading to death. Importantly, the cadaver had no skin lesions in this case; we learned from the hospital laboratory that the patient had a syphilis infection. However, we had no information on when or how the patient acquired the infection. We examined the case focusing on signs of late-stage syphilis. One forensic case of suicide associated with neurosyphilis has been reported (Sakai et al. 2014). The present case highlights the importance of collecting antemortem clinical data for successful autopsy diagnosis and documentation. Further, the likelihood of encountering undiagnosed neurosyphilis should be considered in the future (Sakai et al. 2014). The diverse presentation of syphilis led William Osler to refer to syphilis as “a great imitator” of other diseases (Nyatsanza and Tipple 2016; Sabre et al. 2016; Dourmishev and Dourmishev 2005). As such, forensic pathologists should pay attention to its myriad of manifestations. This case highlights the need for forensic pathologists to perform a complete autopsy to determine the cause of death in cases of acute thromboembolism with neurosyphilis, including detailed histopathological examination, serological assessment, and genetic testing with PCR techniques, paying attention to the trend of infectious diseases. An autopsy case of acute pulmonary thromboembolism with neurosyphilis is described. Physical restraints to control meningovascular neurosyphilis-induced neuropsychiatric symptoms contributed thrombosis. This research did not receive any specific grant from funding agencies in the public, commercial, or not-for-profit sectors. We would like to express our gratitude to Dr. Harutaka Katano, Department of Pathology, National Institute of Infectious Diseases, for performing the immunohistochemistry and real-time PCR analyses in this case. All authors performed or assisted the autopsy. All authors helped to write the manuscript. All authors read and approved the final manuscript. This study was approved by the Ethics Committees at our institutes. Consent to publish was obtained from the family.